Whiteboard - Commercial Grade with aluminium frame - easy to hang. 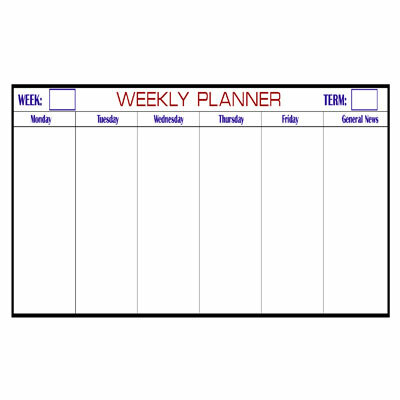 Weekly Planner with vinyl lined setup with Monday to Friday. Can use magnetics. Can be made on any size board.